I need to set up a new Company! Is there any easy way to set up a Company within Sage Financials to ensure I include all the correct information? Yes! There is a Setup Wizard for adding new companies! This takes you through a simple and easy to use process. Simply follow screens of step by step guides to ensure you have included all information needed in the system for that Company. To find this, head to Configuration > Companies > New. If you do not have the Configuration tab, you may not have the necessary permissions. You can contact your System Admin and ask them to grant you the Sage Admin Permission Set to gain access to this. If you open an existing Company details screen on one web tab and duplicate your internet tab, then follow the wizard on one tab using the existing company on the other to follow as a back up guide. My post button has disappeared on the transaction screen list view, where has it gone? Disappearing buttons is quite common if you have custom Transaction or Journal Types. But don’t worry, you can easily add a button into the transaction or transaction list view! When a new upgrade rolls in sometimes the buttons can be ‘reset to default’. To correct this head over to System > Actions and search for the Post button. Then scroll down to the SObject section and add the UID of the Transaction Type – this is usually something like SalesInvoice_TD. You can add the following buttons onto either a Journal or Transaction list view or details screen: Post, Unpost, Delete, New, Import and Convert. If you copy the UID of the transaction or journal you want the button to appear in and then navigate to all action buttons and paste this into each one and click save this will ensure you have them on every screen. I cannot post a Sales Invoice! When I click Post I receive a red error message that says a Dimension is missing? The posting rules which are set up per transaction or journal, tell the system where to post to within your Chart of Accounts. If you are receiving this error there is a Dimension on the posting rules that is Mandatory. For example, the dimension of Project dimension may be mandatory. If this is the case the field will need to be completed in order for the system to post. You can see what fields within a Transaction or Journal type are compulsory for the posting rules by navigating to the Configuration tab, and either going into the Journal or Transaction type subtab. Within each transaction or Journal they have a Posting Rule section, where you can view exactly what the system is looking for. How do I enter a Foreign Currency Journal? If you want to enter a Journal in Base Currency it is easy enough to create a Manual Ledger Entry. However, if you need to enter a journal in anything other than Base Currency you need to follow a different process. This would need to be entered as a specific ‘Journal Type’. This route gives you a choice of currency and exchange rate. Navigate to Other Transactions > General Journal and you can enter it this way! If you would like to import journal from an excel format, you can also use this method! All that needs to be set up is an import feed. If this is something you think might be useful to you, get in touch with one of our team who are experts in setting these up! I know Products determine the Ledger Accounts by Transactions post to. Do I need to set up two separate products if I use the same thing in both Sales and Purchase? Nope. You only need to set up one Product. Then you can use the Tag Ledger Account feature to manage the postings. You will need to set up a Tag Ledger Account called Sales and one called Purchases. Assign a ledger account to each depending on where you want them to post to. Finally you will just need to amend the posting rules to ensure it is picking up that it is either a Sales or Purchase ledger account. You will presented with this choice whenever you set up a new Product. If you have more than one product you need this setting up for you can use the Dataloader app to bring these in one go using a CSV file. 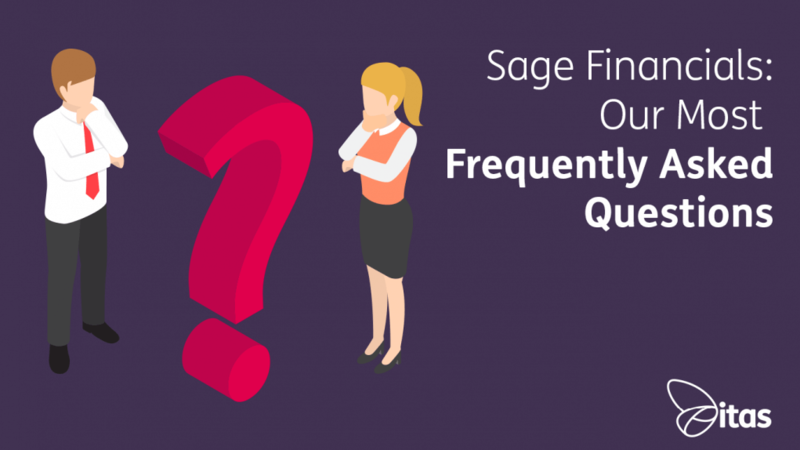 For more hints and tips on using Sage Financials check out our blogs, guides and other helpful resources on the website to ensure you are getting the maximum out of your Sage Financials system. Gabbie is the Ultimate Organiser If you have a question, ask Gabbie. And if she doesn’t know the answer, she knows who will! When she is not keeping the rest of the team on track, Gabbie spends her time horse riding. She also throws the best house parties!